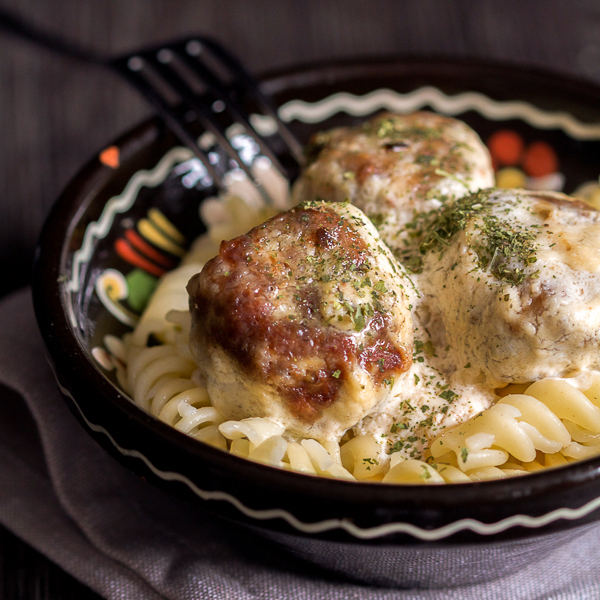 In this wickedly effective meatball recipe, you’ll learn how to make lean and mean, easy meatballs in a creamy white sauce. 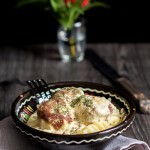 Recently I found out the most popular recipe on my site is the Balkan meatballs recipe. Now, don’t get me wrong! Meatballs, and especially my sister’s homemade ones, are fantastic. I don’t know what other word to use to express how soft but compact they are. 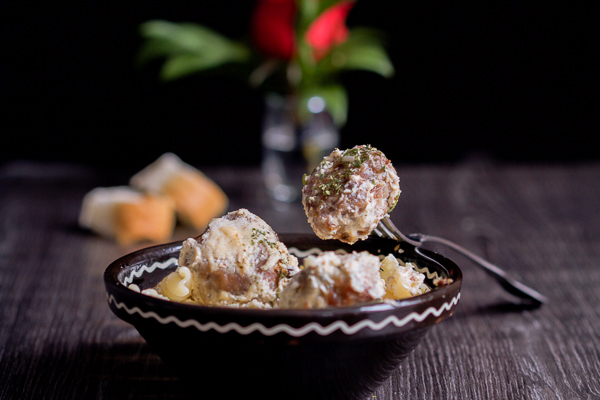 Or how a few of her simple tricks make meatballs taste better than a chocolate birthday cake. Still, for a blog about Balkan food, I was expecting the most popular recipe to be more traditional. That I’d be rocking your boat with the stuffed phyllo goodness known as the spinach pie, or even cherry infused liquor. But no! You love meatballs. So I’ll give you meatballs! This time they’re coming to you in a creamy, white sauce. 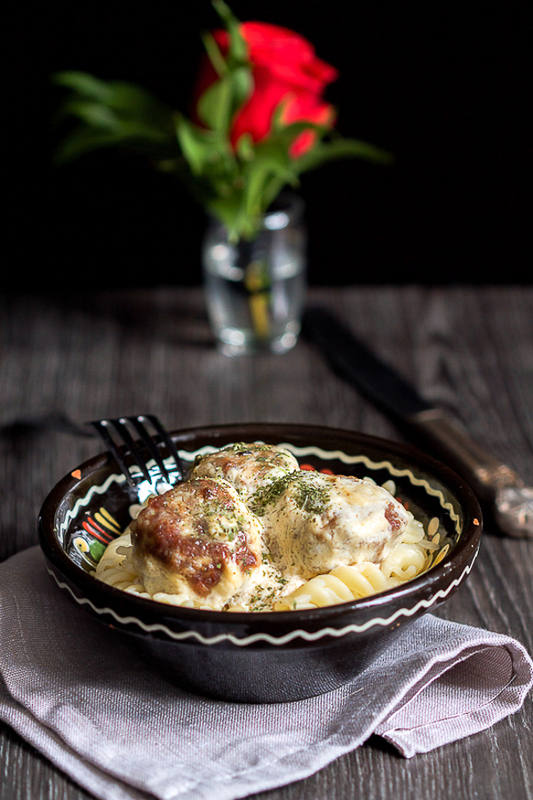 There is no big secret behind the sauce itself: it’s just heavy cream mixed with the meatballs just as they’ve finished frying. Something old with something new. In return, let me ask you something. Have you assessed your cooking skills since last year? I’ve written about it before, how cooking is such a great thing to know. You can take it in so many directions. The knowledge just piles on, and suddenly you figure out a recipe before you’ve even read it to the end. It was the easiest decision I ever made. And also a decision that took the longest to make. It was only after everything in my life changed that I stopped being afraid. Within months, I made the jump I should’ve made 5 years ago. Instead, I self-stunted my professional growth in the name of security. Daily, I depleted myself mentally and emotionally because I felt guilty and spoiled for wanting something different and better for myself. But I take full responsibility for it. After all I did make the jump, when I could have continued on the same path. 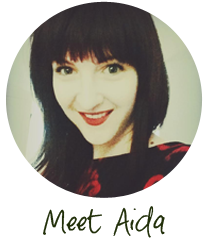 The benefits have been overwhelming, but they come down to this: I’ve learned more about serving client needs and creating great quality work in one year of working for myself, than I did in 17 years working for others. Granted, learning to assess your skills is a smaller shift than changing careers. But the above example is just a reminder to be aware that pesky fears often keep us glued to the routines we’ve grown out of a long time ago. The same can be applied to the recipes we keep repeating over again. We know we can make homemade soup ourselves, or a dessert that will have the entire neighborhood talking, but we stick to what we know. And thus, casseroles. Casseroles are fine. But they aren’t the ground beef pie called burek. And they’ll never be the homemade pasta sauce. So I urge you to see what you’ve been doing in the kitchen in the past year. To assess if you’ve improved your nutrition. And to ask yourself whether you feel better about what you are eating these days. Don’t wait for something huge to happen to change your life. Start with the small things and in one year you’ll be a different and improved person, guaranteed. 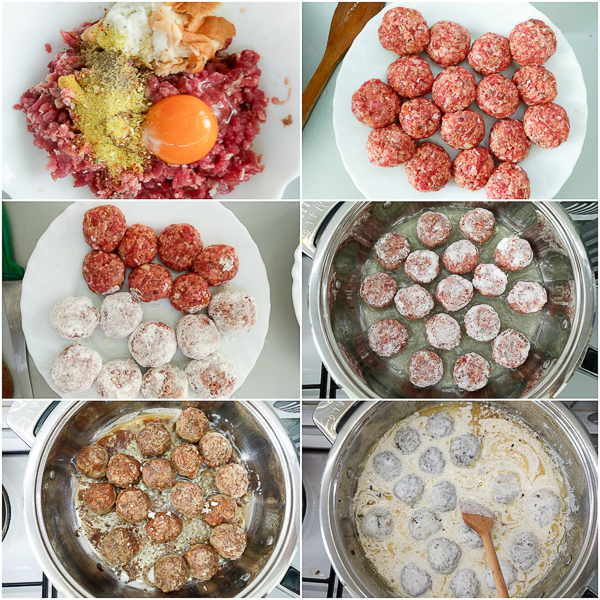 And where cookery is concerned, how about starting with homemade meatballs? Combine ground beef with a slice of soaked (squeezed) bread. Add egg, minced garlic, mustard, and seasonings. Mix really well with your hands. Make small balls out of the mixture, each the size of a table tennis ball (you should end up with about 15 or so balls). Prep a plate with flour on the side, and heat up oil in a deep skillet on high. When the oil is really hot, dip each meatball in flour, and transfer to skillet. Lower to medium and fry balls for about 4-5 minutes on one side, then flip to the other. After another 5-6 minutes, add heavy cream and lower the heat to medium low. Bring everything to boil, wait another 2-3 minutes, then remove from heat. Serve about 3 per person. Make pasta, rice or mashed potatoes on the side. would you say this recipe kind of resembles Klepe but without Paprika? You mean the sauce in the recipe? Yes, both are heavy cream based, but one is baked (klepe) and the other one done in a skillet (meatballs).